If you come off Queensland’s Bruce Highway at Rockhampton and drive for 40km, you will arrive at the gorgeous coastal town of Yeppoon. Blessed with long beaches, a tropical climate and a bay filled with beautiful islands, Yeppoon is the principal town along the Capricorn Coast. Many Rockhampton dwellers travel north east to escape the still heat which can make the city uncomfortably hot in summer, and are greeted by a gentle sea breeze and cooler temperatures. Don’t make the mistake that many do and visit Yeppoon solely to sail out to the Southern Great Barrier Reef and the Keppel Islands. The town itself has developed a real character and is worth a few days of your time. This was a stop on our Whitsundays to Brisbane road trip. Yeppoon is best known as gateway to the Keppel Islands, which will have their own post soon. This was so so lovely! Incredible views, cheese platter, bean bags and a stunning sunset all aboard a beautiful sail boat – what more could you want? We went with Sail Capricornia and I would highly recommend them. Dave, who runs it, is so friendly and accommodating. It’s $55 AUD each, which includes the cheese and soft drinks. You can also bring your own booze. The cruise will only normally run if there’s a minimum of six people booked on, but it’s always worth checking – Dave had already done a day cruise that day so he was happy to take out just three of us for the sunset trip. Anzac Parade is the Main Street through Yeppoon, and runs parallel to the beach. On one side you’ll find a range of cafes, restaurants, shops and accommodation. On the other you’ll find amenities, BBQs, seating areas, a children’s play park and a water play area called The Kraken. Taking the beach into account you could easily spend a whole day relaxing here. At the end of Anzac Parade (near the Keppel Bay Sailing Club) you will find the excellent Yeppoon Lagoon. It’s a 2,500 square metre resort style lagoon pool with plenty of seating (including super comfy bean bags) and a shallow play area for children. There are great amenities including a cafe, toilets, changing rooms and showers. My favourite element is the pool’s infinity edge, which, when seen from the right angle, creates the illusion of the lagoon water and the sea water running into one another. This is absolutely worth a trip and worth the money. The sanctuary is caring for animals which have been injured or orphaned, and others which had been illegally kept as pets. You can purchase small bags of food on the way in, and then wander around the park where emus, kangaroos, wallabies and lots of birds roam free. You can hand feed the animals, but be sure to hide your bags from the emus – they will have no qualms about snatching it from right under your nose! The 1pm show is a must do. Educational and informative, and if you want to you can hold and take photos with lots of interesting animals including koalas, snakes, and absolutely adorable sugar gliders. You can also pay an additional fee for various animal encounters. The park is open from 10am until 3pm seven days a week, with adult tickets priced at $30 and children at $15. Under 3s go free. There’s also a cafe and a gift shop on site. For more details, head to their website. An example of the volcanic remains that rise out of the sea all along the Capricorn Coast, Bluff Point provides some truly stunning views. If you are lucky, you may even see a turtle or some dolphins while you are enjoying the scenery. The walk is short (a 2.5km loop) but steep. It is perfectly possible to do with a low level of fitness, you will just need to take your time – I promise it is worth it. I prefer to start on the right side of the track which goes around the back of the hill, where the path weaves up through bushland and lots of native fauna. The views when you reach the top and the sea opens out before you are breathtaking. Keeping walking along the track and you’ll come to a couple of viewing platforms, before heading down back to the car park. At the bottom there are BBQs, toilets, and picnic tables, and of course the best way to cool off after an uphill climb – easy beach access to the Capricorn Sea. Take a plenty of water, wear sunscreen, and during the summer cover yourself with mosquito repellent. Centenary of Anzac Memorial Walk at Emu Park – a traditional war memorial is joined by an impressive glass painting, a semi outdoor museum about the World Wars, and a beautiful walk along the sea to the Singing Ship sculpture, which makes eerie yet beautiful sounds when the wind blows through it. Look out for the solider silhouettes in the trees, and if you happen to be around on ANZAC Day make sure you set your alarm for the dawn service. Mount Baga (formerly Mount Jim Crow) – not one for the faint hearted, but incredible views at the top. Don’t do it in the midday sun, and remember to take plenty of water. If you want a nice stroll in your flip flops this one isn’t for you, but if you don’t mind a good climb and a little bit of scrambling then you’ll have a great time. Look out for the yellow paint to guide your way, and allow one to two hours to get up and back down. Wreck Point – no long trek required here: just pull up in your car, walk a few feet, and enjoy the views. Afishionados – right opposite the beach with super fresh food, this is still the best barramundi we have had in Australia. The service here is fantastic, and is a firm favourite with locals and visitors alike. My go to dish is the veggie burger, his is the Fisherman’s Basket. A range of good beers and wines are available too. Whisk – a wonderful little place on James St. Whisk offers all day breakfast and lunch every day. We have been here lots of times and never had a bad experience. They are really flexible when it comes to substituting things into dishes to make them vegetarian. Some of our favourites include the breakfast wrap, the vego burger, and the big whisk breakfast. The chef also makes incredible desserts – check the cabinet next to the till for that day’s offering. The Coffee Club – part of a chain with over 200 outlets across Australia, this is a reliable option when looking for a varied menu at an affordable price. The one on the Esplanade (there’s one in the Central shopping centre too) has a nice open front and is directly opposite the beach. We do prefer Whisk though. Beaches – definitely one of our favourites, this restaurant is actually a short drive from Yeppoon at Rossalyn Bay. On the more expensive side compared to other places in the area, but the great food – along with the atmosphere created by the twinkling lights covering the ceiling, the friendly staff and the sea view – make it worth it. The Pad Thai is excellent, and every Sunday they host a Parilla BBQ accompanied by live music. Lure Living – a lovely cafe with a real bohemian feel and a sea view. It has free wifi, great drinks, and good food. There are lots of interesting extras too: there are second hand clothes and antiques for sale, and if you take a bucket and go on a little beach clean up they’ll give you a free coffee. There are often small events or classes on – check their facebook page for the latest plans. The Strand – you can come here to watch sport, play pokies, and party at the weekend. Personally it’s not top of my list, but there is good food and a range of drinks at reasonable prices. It’s also worth checking out the Jam Factory, Pumped Juice Bar & Cafe, and Pie Alley Blues. If you fancy a relaxing massage (ladies only!) then pop over to The Beach Room. There are a range of options, but if you want a sea view then have a look the apartments at Echelon, Salt, and Oshen, or the Bayview Motel. If you want a lower price in a lovely old Queenslander (but no sea view), have a look at Keppel Bay Beach House. If you’re in Yeppoon you’d be silly not to visit Rockhampton – read more about it here. 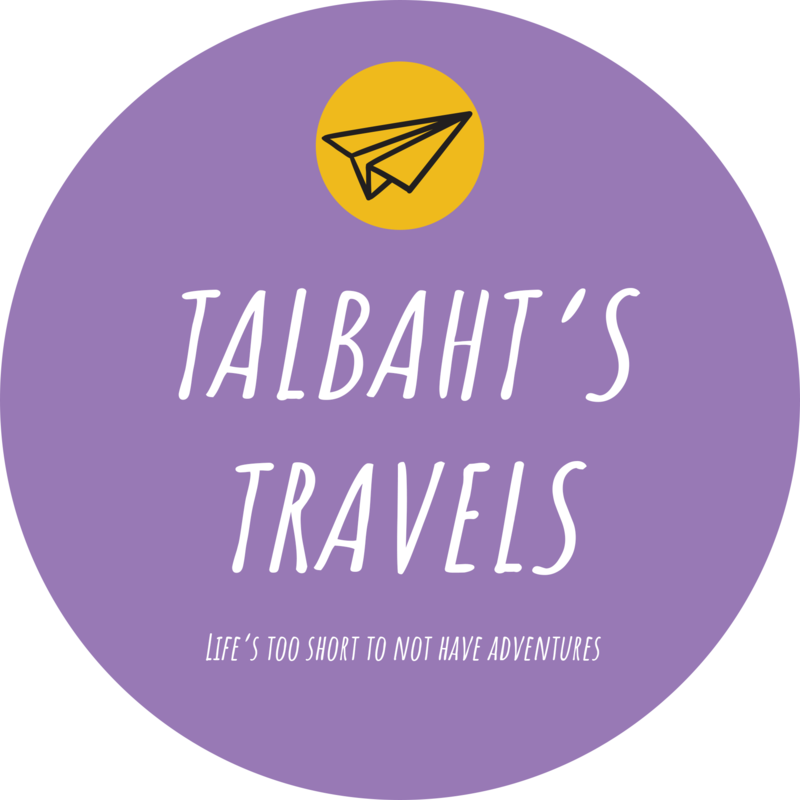 If you have any questions, want help planning a trip to Yeppoon or have an idea for a guest blog please email contact@talbahtstravels.com. To find out more about the Capricorn Coast, head to Visit Capricorn’s website.